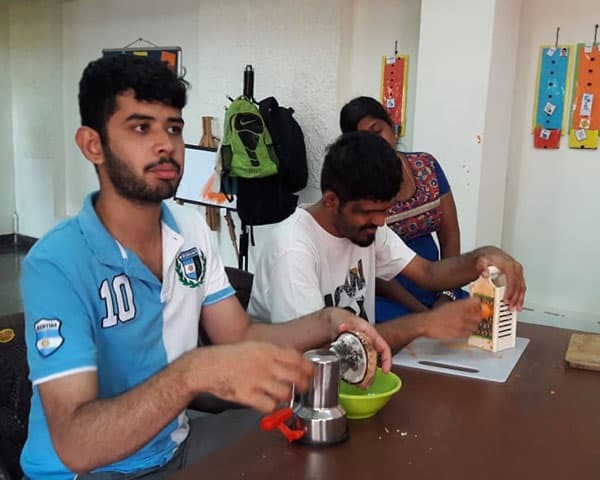 In a recently held Kerala BUDS Special School Youth Festival, some photos of two teachers were published on the local newspaper which has caught attention on social media. In one of the photos, a teacher named Prasannakumari can be seen helping a disabled child dance on the stage. As the disabled kid dances, the teacher shows him the dance steps and expressions sitting among the audience. In an another photo, a teacher named KH Haritha can be seen dancing with a disabled kid who was shy to dance on stage. Many social media users have thanked and appreciated both the teachers for their hard work and support for the disabled children.